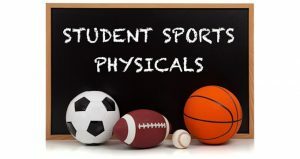 Beginning April 1st, the RHS Athletic Office needs you to obtain your 2019-2020 sport physical. ANY athlete should obtain a sport physical for the upcoming 2019-2020 season PRIOR to try-outs. You cannot try-out for a sport, until the athletic office has your physical on file. Reid Hospital will have REID SPORT PHYSICAL nights on June 20th and July 16th at The Reid Orthopedic Center, 1400 Highland Rd., Richmond, IN starting at 5:30PM. RHS athletes will be able to get in line starting at 5:00PM and numbers will be given to those in line. (first come, first served).